Holidays, birthdays, anniversaries, and special occasions are all great times to open that special bottle of wine you have been saving. 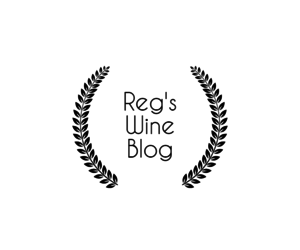 This blog is going to assume that you have been saving and properly storing your special wine for quite a while and that it is still good to drink. We are also assuming that your wine is a good wine and worth saving. I had the whole family over for dinner about two weeks before Christmas (December 13th) and after dinner the 11 of us decorated the family Christmas tree. 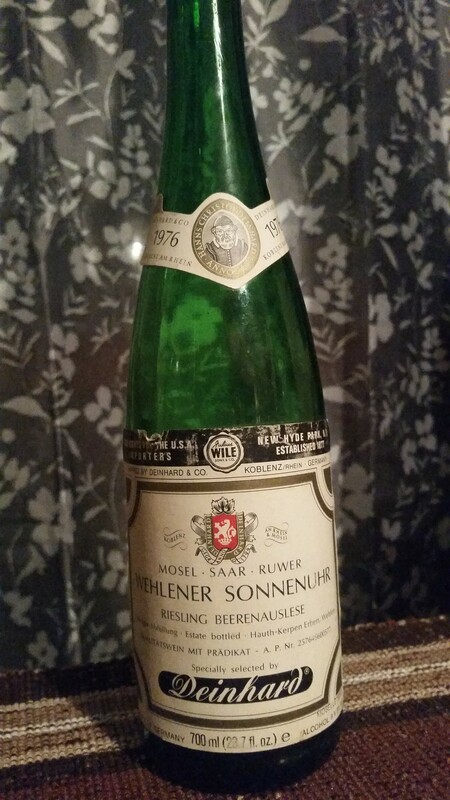 I had an old German dessert wine that I wanted to open. I wanted a family occasion and our family normally makes a big deal out of decorating the tree, and it always launches the Christmas season and Christmas spirit. 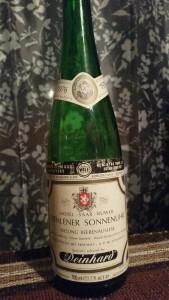 My 1976 Wehlener Sonnenuhr was now 39 years of age, and my concern was that the wine could be drying out by now and losing its fruit. The fill was still excellent, with white tartrate crystals on the bottom, and no seepage from the cork. Since the bottle was green in color it was hard to tell what color the wine had taken on – yellow, orange or brown. The wine was estate bottled and shipped by Deinhard, and was quite inexpensive when I had bought it 30 years ago. This was going to be a good test of my cellar conditions I thought, as I opened the bottle. On pouring the wine into the glass the color was a deep orange, indicating the wine had oxidized a little as it had aged, but was it still good to drink or all dried out? On the palate to my relief there was still ample fruit, a burnt orange tang with good viscosity, sweet without overwhelming as some German Beerenauslese wines have a tendency to be, and a pleasant aftertaste. I have tasted German dessert wines many times, and the older ones really go downhill quickly once they start losing their fruit. This wine was still in very good condition, not as sweet as it once was, but still enough fruit and sweetness to hold it together and maintain balance throughout. The burnt orange on the palate was in perfect harmony with the level of sweetness left in the wine. This left the impression that the wine was starting to dry out, but would be good for maybe another 2 years before losing its balance. The wine happened to go very well with the family evening, and made for a very pleasant time decorating the tree before everyone left for home. Only about 6 of us were drinking the wine, the others were designated drivers, and everyone tasting it thoroughly enjoyed it. There is a certain satisfaction that comes from cellaring a little gem like this for 30 years, then opening it at or near its peak on the right occasion for that wine. I was very happy, and that is the magic to be found with the right wine at the right moment in time. I find it is okay to be a long term wine collector as long as you don’t obsess about it, you must drink your fine gems before they fade away on you. There is no joy to be realized from parking on your wine for 30 years and finding it has turned to vinegar when you finally do get around to opening it. In this case I was lucky, because I was pushing the envelope on this one, and probably should have drunk it 2 years ago. If you own a bottle similar to this, you may still be okay for another 2 years, but you have nothing to gain and everything to lose by holding onto it any longer. So think of a suitable excuse and occasion to open that good bottle and get cracking.